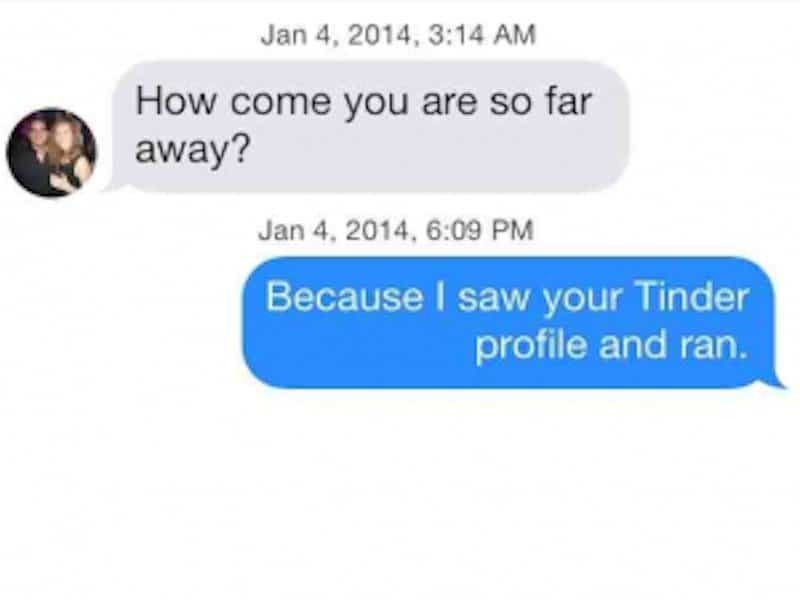 Since Tinder’s launch in the App store in 2012, over 1 billion people have matched on it. 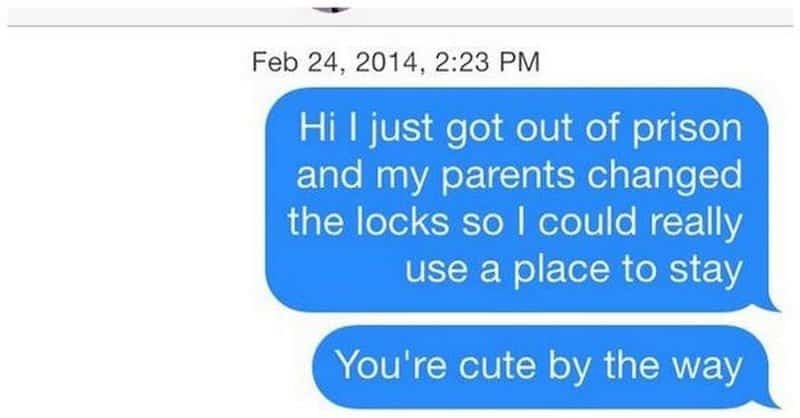 If you’re not familiar with Tinder lingo, that means they both swiped right on each other’s profile, signifying they like what they see. While some people may find love on the app, others use it more for entertainment than for romantic purposes. 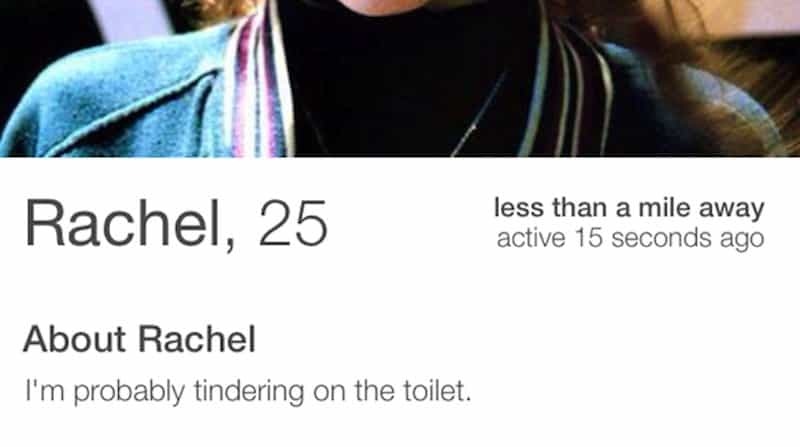 Those who use it for fun often have hilarious one-liners in their bio and have awkward and funny conversations with their matches. 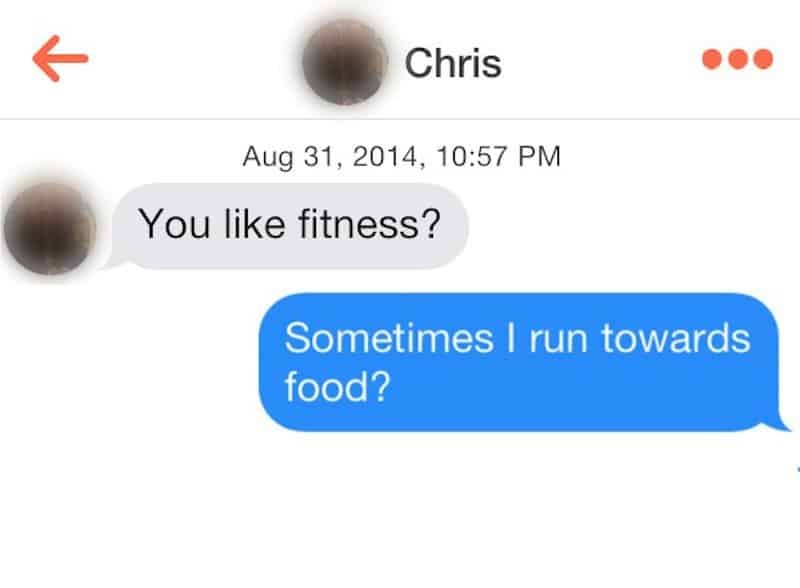 Others provide just as much entertainment, however, they may be unintentionally awkward and funny. 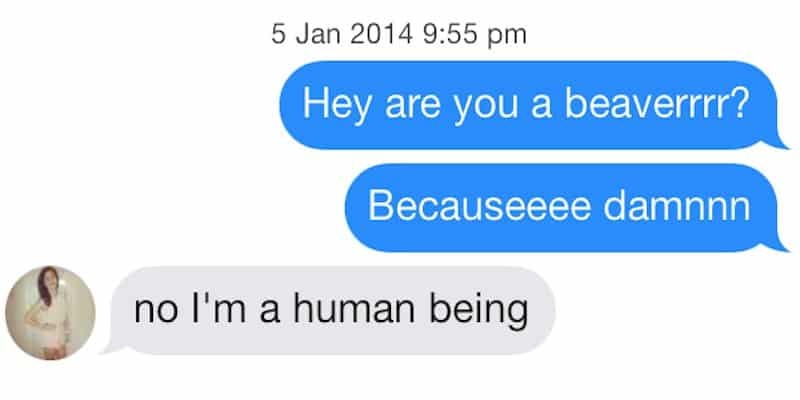 However they come about, here are 20 of the funniest types of Tinder interactions that have ever happened. Hey, at least there won’t be any big surprises when her new partner finds out how she likes to spend her time. 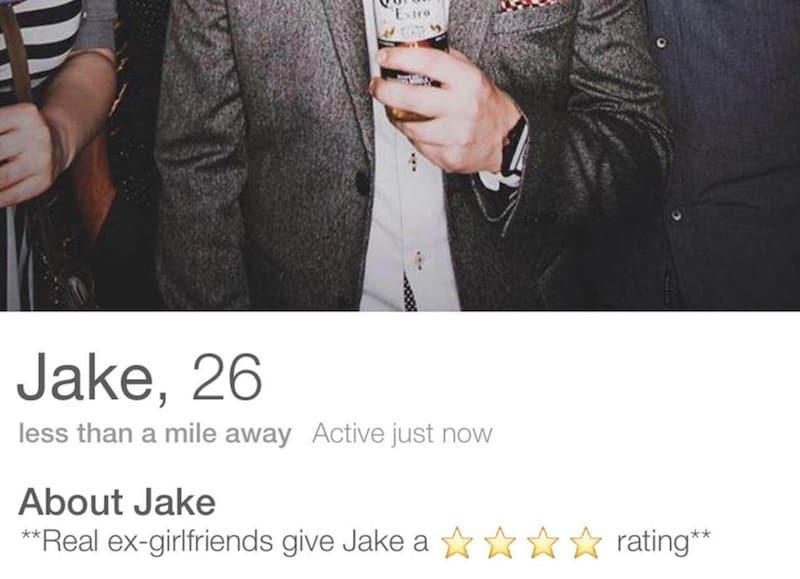 What he should have included is how many stars he didn’t get. Is that 4/10? 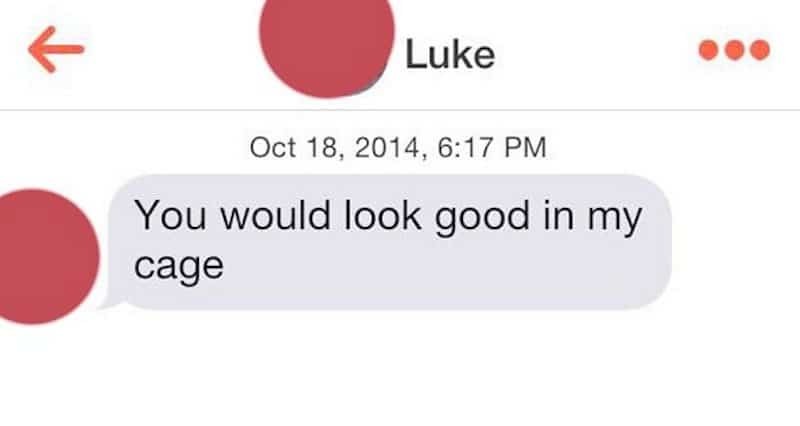 4/5? 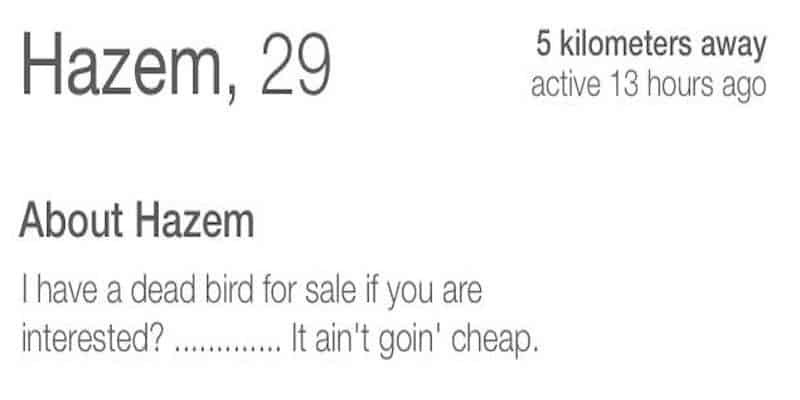 4/100? 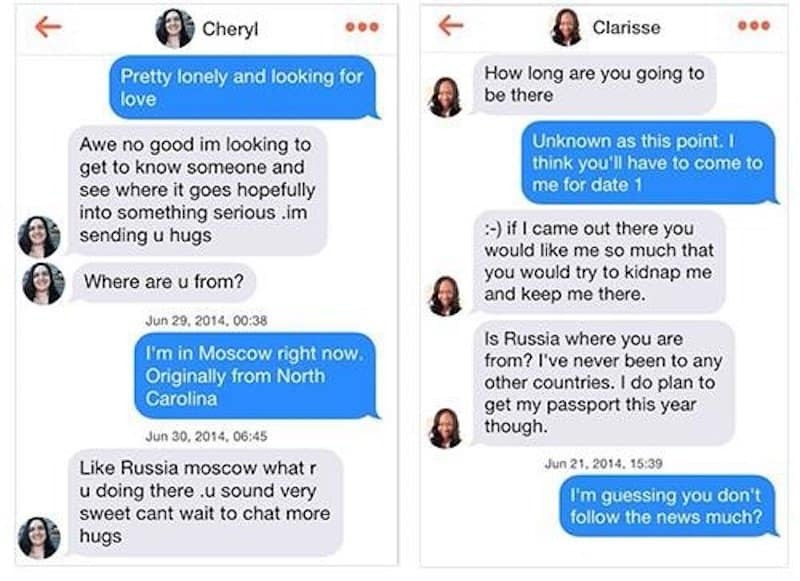 Yes, Cheryl, “like Russia Moscow.” And Clarisse, you joke about kidnapping but that’s probably not a good idea with internet strangers. 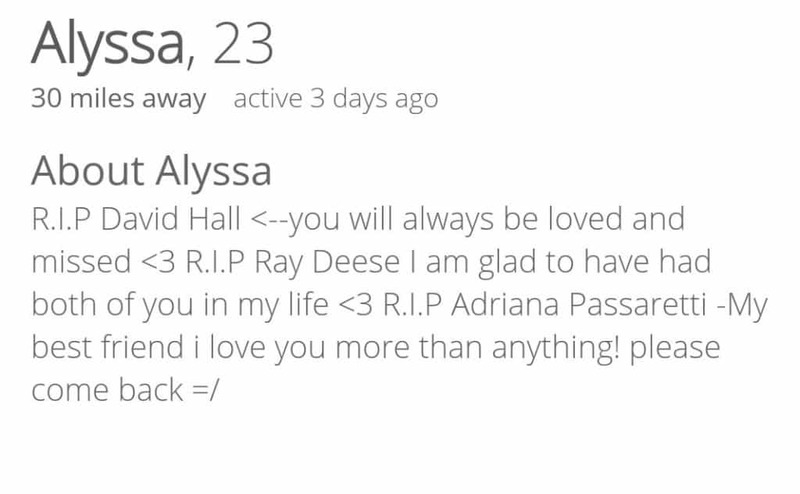 If everyone close to this girl is dead, potential suitors will quite possibly view that as a red flag. 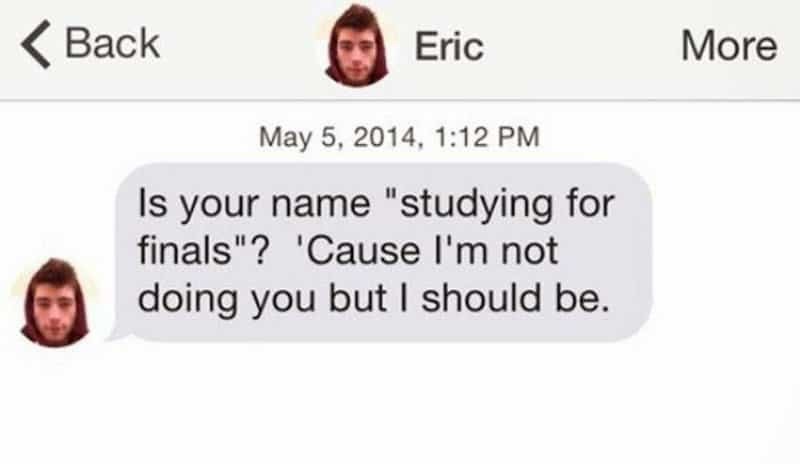 Sounds like this Eric character may need to reevaluate his priorities if he doesn’t want to fail out of school. These two are both up to date with politics, maybe they’d make a good match after all? 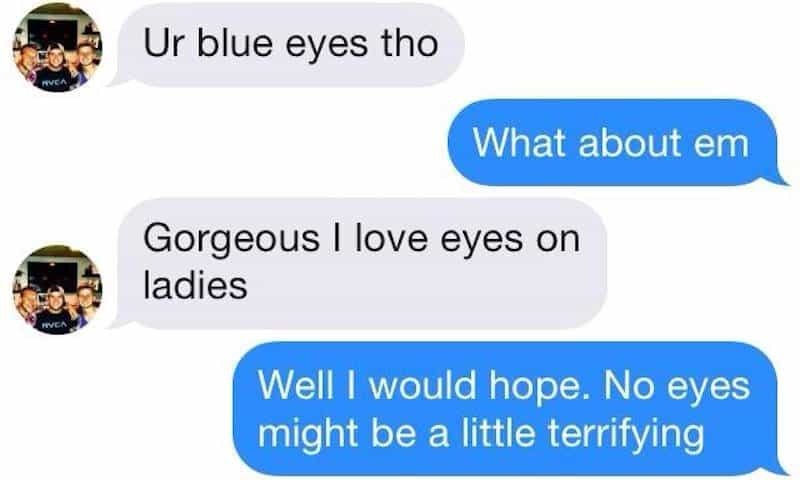 “Oh, you love eyes? Well, I love brains, so, bye!” This one makes you a little bit concerned for the future of humanity. 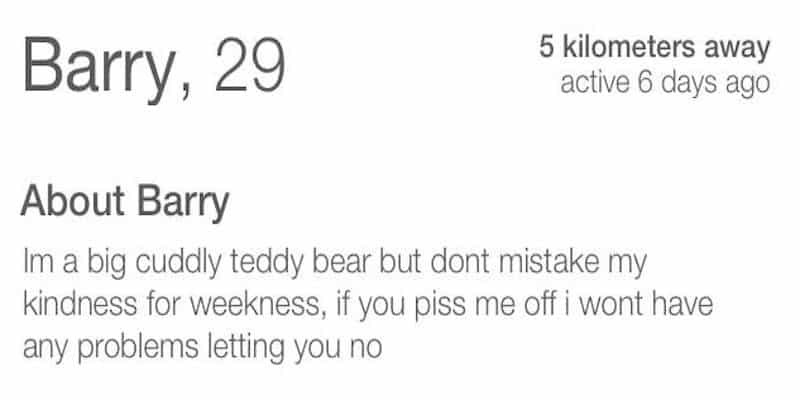 Hopefully no one reproduces with this guy. 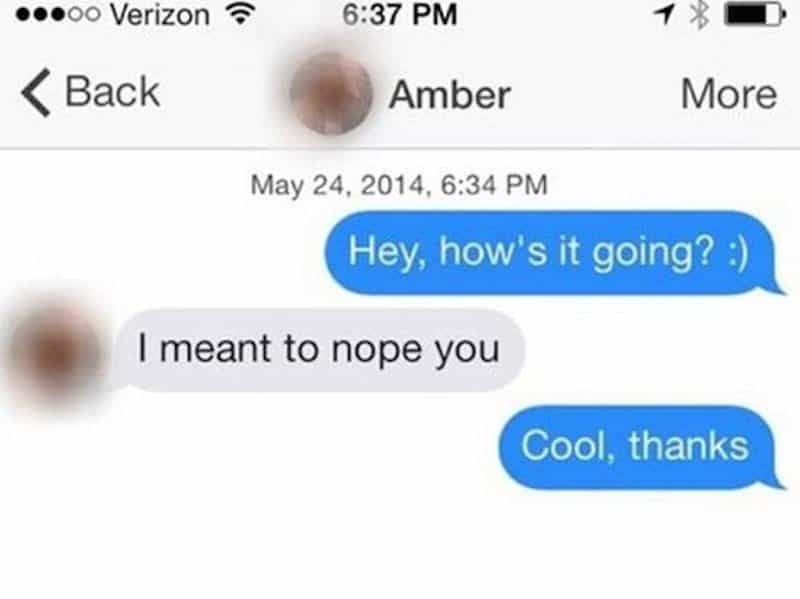 It probably would have been enough to simply “un-match” with this person, but Amber had to really rub salt in the wound. 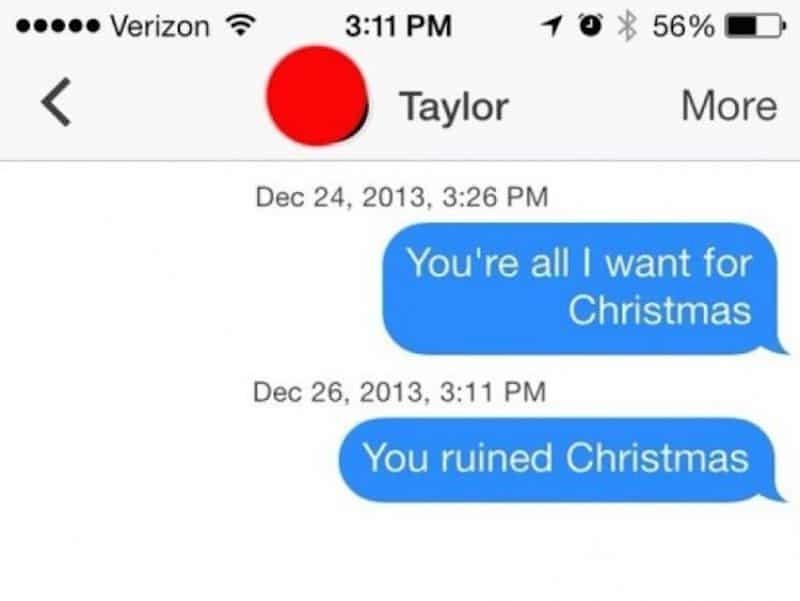 It takes some nerve to ruin someone else’s Christmas when you’ve never even met them! Imagine what New Year’s will be like for them. Ok, this girl is just no fun and has no sense of humor. Unless, of course, she’s playing the same game. 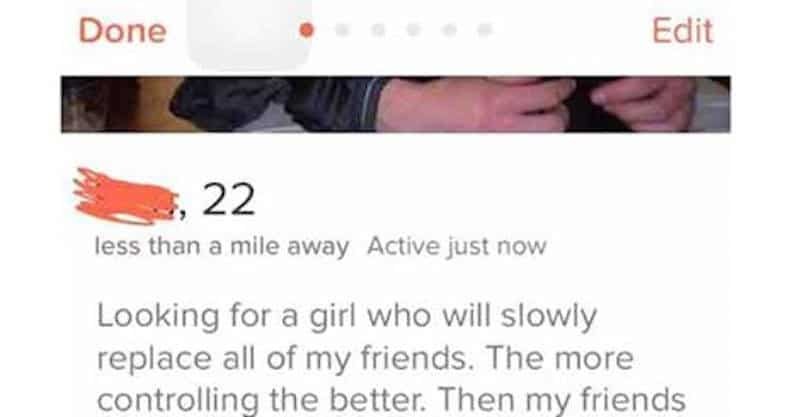 If this were a movie, it would be called “When Tinder Met Craigslist.” It would also be a comedy. 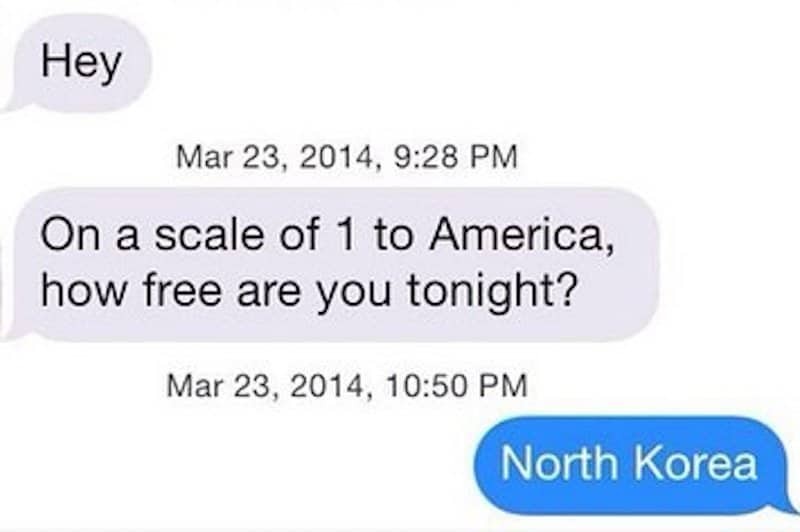 Those “location services” capabilities on Tinder can sure get you into trouble sometimes. At least his potential suitor would know what she was getting herself into, literally. This guy would probably get along with Christian Grey quite well. This guy obviously wasn’t in jail for breaking and entering or he would be able to get back into his parent’s house in no time. 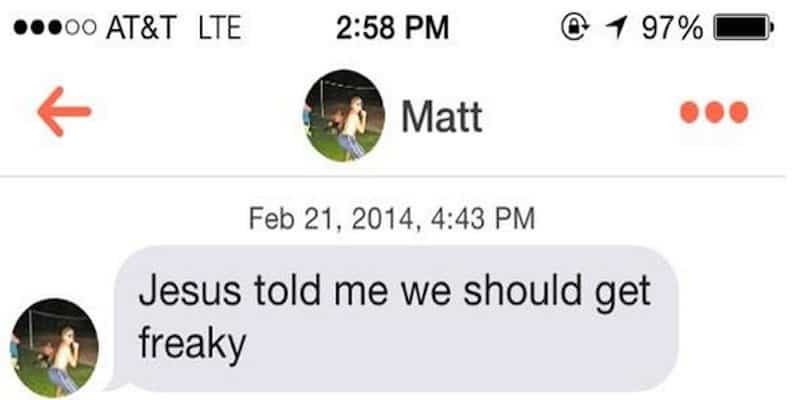 Good pick-up line, Matt. You can’t argue with Jesus logic. Estimated time of arrival? 10 seconds, because that sounds amazing! Something tells me this has happened to this guy in the past. Stockholm Syndrome, anyone? Good one, Heather. 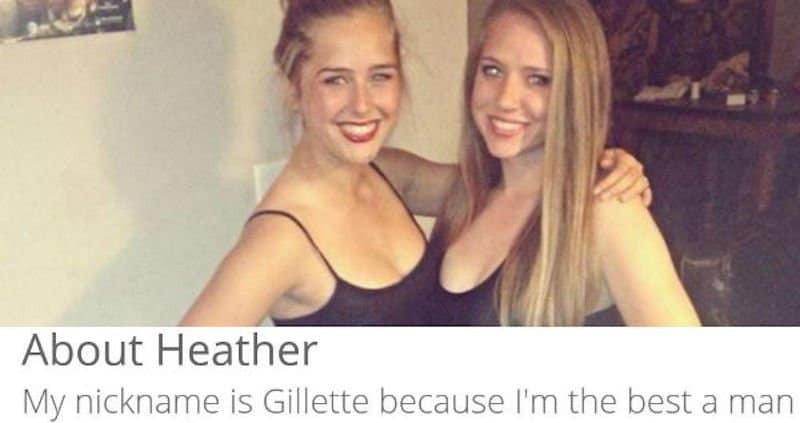 That’s some great advertising for Gillette, too.